One Bath, 700 sqf, west exposure. Hotel Services. Description : 3.5 Rooms with New Brazilian Marble counters and New Slate Floor in Kitchen, and a Renovated Bathroom with new marble tile, Brass & Gold Fixtures, and a fabulous Italian Glass Fresstanding Sink. Incredible Harlem Meer Lake view and steps from Central Park & Conservatory. Description : A Lovely 2 bedroom / 2 Bath Low floor Apartment, Overlooking the Gardens & Park of The Vanderbilt Condo. THREE Exposures: Southern, Eastern, and Western Light, throughout the day. A GRAND South East corner master bedroom with a Windowed bath and Walk-in-closet. Windowed Kitchen, and A Wrap-Around-Terrace, in a Full luxury White Glove Condo Building. Description : Great Location!. 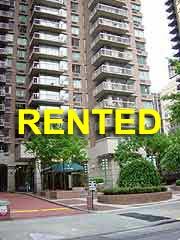 700 Square Feet apartment in Fully Furnished Apartment with Southern Exposure available IMM. Description : Great Location; 700 Square Feet Apartment with Bright Southern Exposure. 24 Hour Doorman, Concierge Building. Description : Great Location!. Alcove Studio available in Full Service Doorman, Concierge, with Southern Exposure. Description : High floor furnished apartment with a southern and also western exposure providing spectacular midtown city views. The bathroom and kitchen have been recently renovated in contemporary style. Description : Rarely Available. A Family Home of 3 Bedrooms and 3 Full Marble Baths, with a Grand oversized Living Room facing South with walls of windows. An extremely serene neighborhood, surrounded with a lifestyle of conveniences. Description : One bedroom with Windowed Bathroom and Jacuzzi. Large Terrace. South/East Exposures with City Views. Description : This spacious One Bedroom is on a quiet tree-lined street just one block away from Beekman Place. Doorman building. Description : Newly renovated, 800 sq. 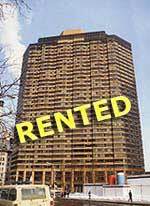 ft., One Bedroom in the Gramercy Park Area. This is a floor-thru apartment with a balcony overlooking a garden. Post war building with doorman. Comfortable furnished apartment with murphy bed. Description : Located just steps away from Lower Fifth Avenue, Union Square, Chelsea, and Flatiron, this architect-designed, fully-renovated, spacious, sun-filled 2-bedroom/2-bath apartment overlooks the retail and culinary delights of the Village and Southern Manhattan. For entertaining, the south-facing chef�s kitchen with commercial appliances (Wolf, Subzero, Miele) and custom cabinetry opens to a combined dining and living area through a granite-topped pass-through and counter extension. Each bedroom boasts expanded, double-rodded closets, with additional storage space available in a utility room and two large hallway closets. Baths feature Ann Sacks tiles and custom brushed chrome fittings. This well-established cooperative�s warm, friendly staff provide comprehensive services, security, and good cheer on a daily basis (even the laundry room is impeccable). If these features are not enough, the Farmers� Market, Blue Water and Mesa Grills, and block-long walk to all transportation may ultimately convince you that this unique space is for you! Description : Lovely One Bedroom Apartment with Living and Dining Areas. Description : Renovated Large 1 Bedroom/1 Bath in Prestige Town House Like Condo. Large Entry Foyer with BIG Windows Facing North into Skyline and Unobstructed Views. Marbled Bathroom, Granite Kitchen, Parquet Floors and 4 Large Closets. Description : Unobstructed Water Views To Live with in this 707 Sq.Ft. 1 Bedroom with a Marble Bath plus a pass thru kitchen with a walk in closet that fits just right for a home office. Parquet floors, Renovated, Morning Sun, in a delight lifestyle condo. Description : One bedrooom convertible to two (2) bedrooms. Two baths, for rent at $3,800/month. Exquisite furnitures availabe for sale at reasonable prices. Description : An Ingenious Combination of two apartments, producing a stunningly renovated private open loft-like Living and Dinning Area's. Surrounded by knee to ceiling windows with South West Exposures and full views of the Empire State Building. Interior's done with prestine precision. New Stripped Red Wood floors, All Stainless Steel Appliances, Full Slate Kitchen Floors and Counters with real Cherry Wood cabinets. Washer & Dryer in the Apt. Description : Triple mint condition, West Exposure, one bedroom and one bath.